I am super excited about this keto nut-free pumpkin seed bread. First, let me tell you about the bread. The bread is light, not heavy, the texture is perfect and it tastes just like a multi-seed bread, it is sooo good! This winner of a bread recipe has ONLY about 1 net carb per slice, yes you heard me right only 1. 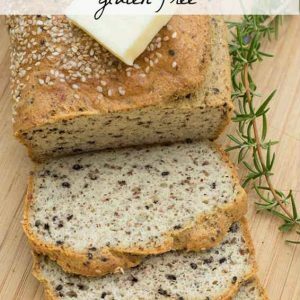 The best part is, the bread is high in protein and is packed with fiber so it will satisfy your bread craving. 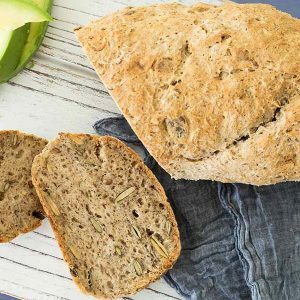 The pumpkin seeds are high in antioxidants and magnesium and add a lovely texture and flavour to this amazing bread. 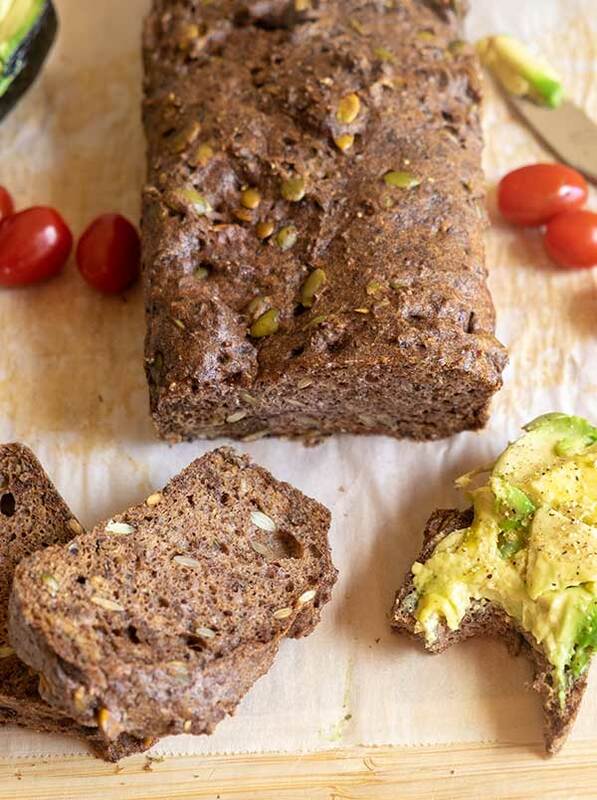 I must admit I am not a bread lover, but this keto nut-free pumpkin seed bread will be a staple in my home from now on. Who knew you can eat bread that tastes this good and still stay on a low carb diet? You will love the bread, I promise, this recipe will not disappoint. Enjoy! Immediately fold in the pumpkin seeds and transfer the batter into prepared loaf pan. Bake for 1 hour. When the bread is finished baking, immediately lift the bread by using the parchment paper and place onto a cooling rack to cool completely. Enjoy!